Experiment details: "Unfolded in 6 M GdHCl [H2O, 50 mM phosphate buffer (pH 7.0), 10 mM DTT, and 1 mM EDTA] for 24 h. Folding was initiated by decreasing the concentration of GdHCl through dialysis into a solution of the same composition, but with no GdHCl." Experiment details: "Rabbit muscle aldolase was equilibrated in 5 mM phosphate/H2O buffer (pH 6.8, 25°C) for approximately 1 h, then transferred to a urea/H2O solution (3 M urea, 5 mM phosphate, pH 6.8, 25°C), where it was incubated for 3 min to 48 h. The aldolase concentration in this solution was 0.2 mM. 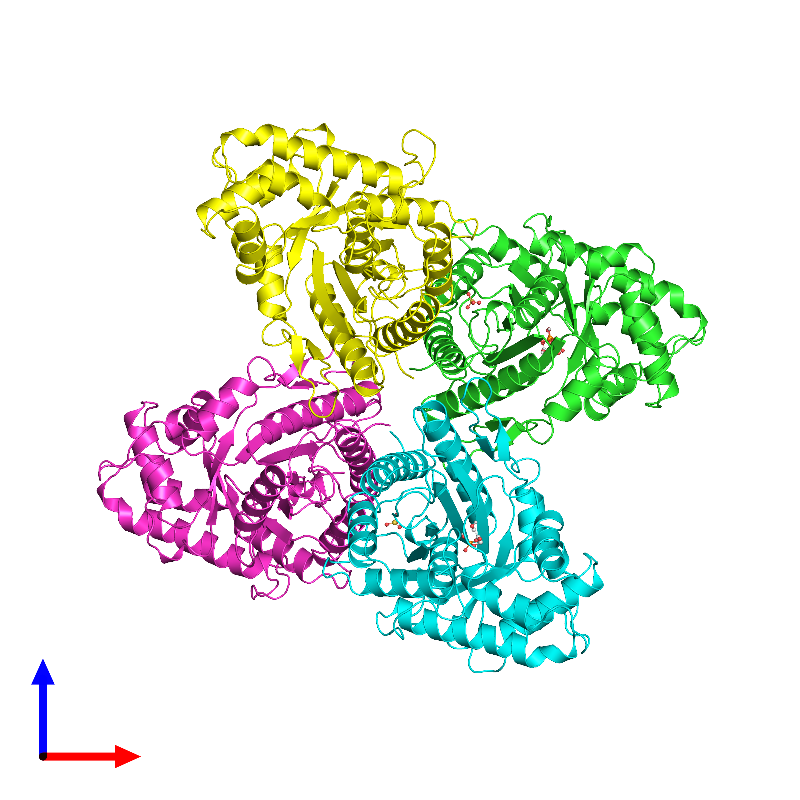 Unfolded regions of aldolase were labeled by diluting the solution 20-fold with urea/D2O buffer (3 M urea, 5 mM phosphate, pH 6.8, 25°C). Isotopic exchange was quenched after 10 s by decreasing the pH and temperature (pH 2.5, 0°C)."